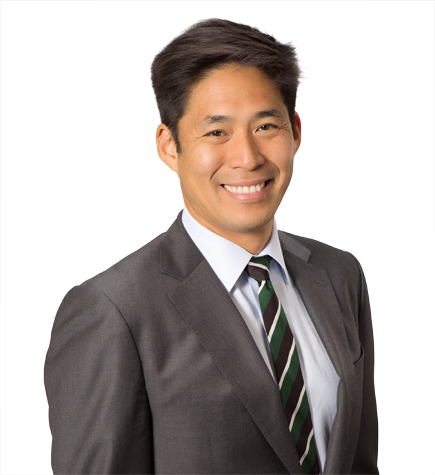 Victor Jih is a commercial litigator with extensive experience in a broad array of complex business disputes at both the trial and appellate level. With an emphasis on soft intellectual property and litigation in the entertainment and media industry, Victor has also worked with clients in the internet, computer software and hardware, and retail sectors, among others. He represents businesses of all sizes—from startups to motion picture studios and tech leaders—in a practice that includes First Amendment, unfair competition, consumer privacy, class action defense, contract, employment law and other commercial disputes. Highly efficient and creative, Victor draws upon his diverse legal experience—and his sophisticated understanding of the interplay of intellectual property issues in business disputes—to develop novel solutions to his clients’ most difficult and complex problems. In addition to his litigation work, Victor counsels clients on how to avoid legal risk, including ways they can protect their intellectual property and related issues such as fair use and infringement. Represented a national satellite radio broadcaster in a multimillion-dollar common law copyright dispute alleging infringement of performance rights in pre-1972 sound recordings. Represented a major motion picture company in a breach of contract and copyright infringement action involving merchandising rights to J.R.R. Tolkien’s The Lord of the Rings and The Hobbit. Represented various videogame developers in “look and feel” copyright infringement claims. Represented plaintiffs, the creators of the multibillion-dollar video game franchises Call of Duty and Modern Warfare, in a dispute over nonpayment of nine-figure bonuses and unauthorized development of sequels and other games. Represented national package delivery company in more than 50 pending putative class action lawsuits in 42 states seeking to reclassify as "employees" thousands of independent contractors engaged in package pick-up and delivery services. Represented a leading internet companies in consumer privacy issues and online copyright and trademark protection; see, e.g., In re Hulu Privacy Litigation. Represented China-based companies in litigation in state and federal courts on breach of contract and intellectual property issues. Litigated complex commercial disputes on behalf of and against foreign companies (based in Japan, Hong Kong and South Korea) in cases involving the application of the laws of over a dozen foreign jurisdictions, thousands of foreign-language documents and/or foreign-language depositions. Litigated trade name and trade dress infringement issues for a major ticketing operation in Las Vegas. Advising a national consumer food products company over trademark licensing and infringement matters, including litigation in the U.S. District Court for the Southern District of New York. Prosecuted claims of trade dress infringement on behalf of one of the largest global designers of personal computers against Korean infringers. Represented major motion picture studios in an unfair competition action brought under California's Business & Professions Code § 17200, alleging that the studios unlawfully marketed R-rated motion pictures to persons under the age of 17. Litigated the application of Business & Professions Code § 17200 to expressive speech, including both creative works and corporate commercial speech. Opposed efforts by former California Governor Gray Davis and others to block the California gubernatorial recall election, which culminated in en banc action by the Ninth Circuit. Represented a major global manufacturer of personal computers in the defense of a trademark infringement action brought by a provider of operating system software. Successfully litigated first impression issues on the application of copyright law to architectural works at both the district court and Ninth Circuit; see Leicester v. Warner Bros., 232 F.3d 1212 (9th Cir. 2000). Defended a film director and a media company accused in a wrongful death suit in Louisiana arising from a "copycat crime" at both the trial and appellate levels. Represented an international entertainment and media company, securing a judgment of dismissal following trial of a motion for terminating sanctions. Represented the bipartisan leadership of the House of Representatives on copyright issues before the U.S. Supreme Court against constitutional challenges to the 1998 adoption of a 20-year extension to the term of copyright; see Eldred v. Ashcroft, 537 U.S. 186 (2003). Represented media companies in connection with litigation over the films Crimson Tide, Contact, Batman Forever, The Devil's Advocate, Natural Born Killers, The Patriot and The Lord of the Rings, and over the television series Sports Night and Friends, in a variety of matters ranging from copyright to unfair competition and contract disputes.